Robin, an American backpacker low on money but infatuated with travel and beauty, and Piv, her charismatic Thai lover who dreams of a better life, become embroiled in the dangerous world of international animal trafficking in this exotic literary thriller. Zoe Zolbrod studied at both Oberlin and the University of Illinois at Chicago, and is been a Senior Editor at Houghton Mifflin/Harcourt. She also was co-publisher of Maxine -- a literate companion for churlish girls and rakish women. 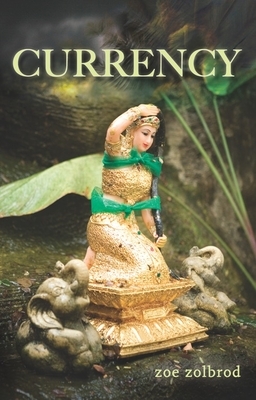 Her debut novel, Currency, will be published by OV Books in April 2010.